The house finches are back. Every spring, they refurbish the nest on top of our porch light and raise a new brood. This year they've lined the nest with a fluffy substance that I can't identify. 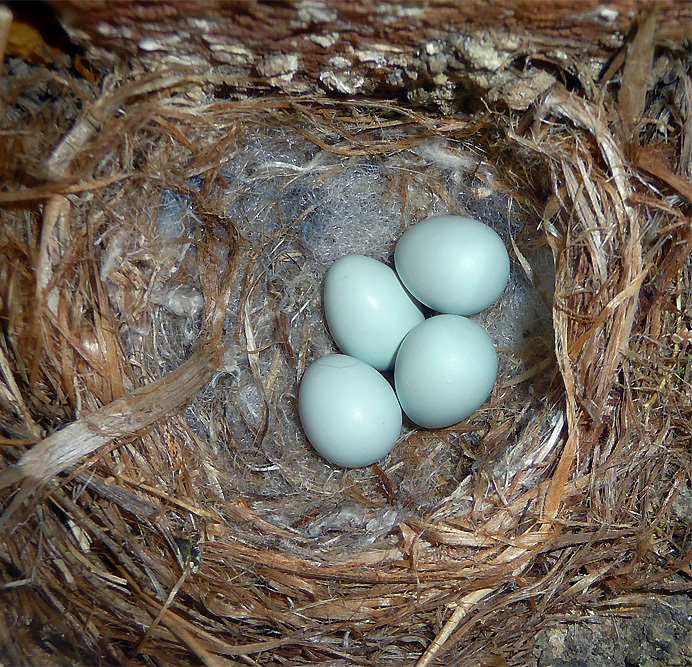 Last year a cowbird secreted a foreign egg in the same nest, forcing the finches to raise its chick and thereby perpetrating a domestic tragedy. Maybe the same will happen this year. Stay tuned. .